This stunning tea bowl gleams with a high shine, clear glaze. 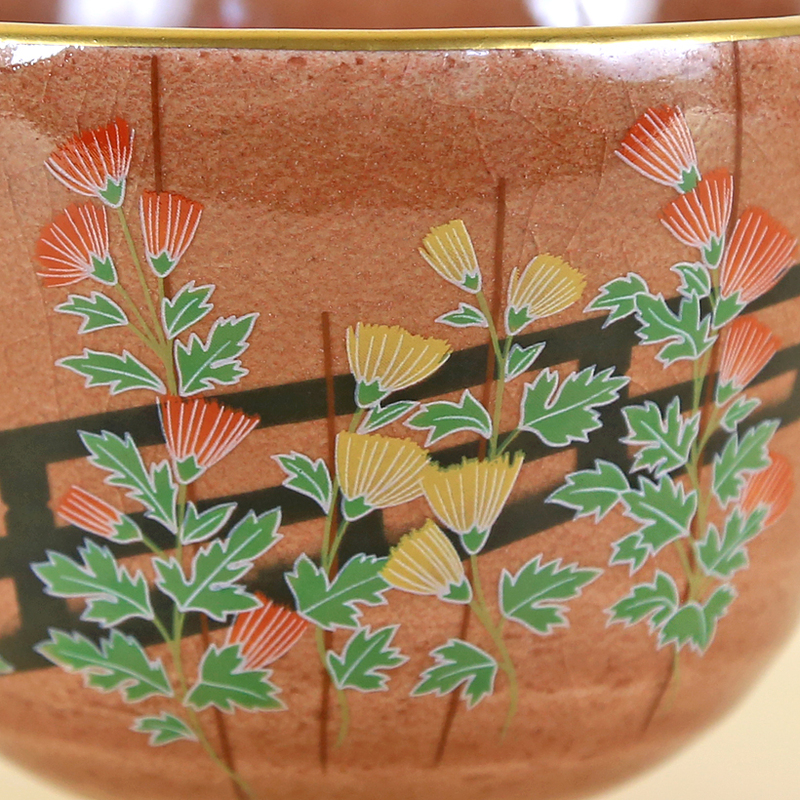 The flower design on the front of the bowl is that of stylized Kiku – chrysanthemums – preening in fromt of a fence. The design was inspired by an image on a painted screen residing in the Daikakuji Temple, Kyoto, Japan. Kiku are a symbol of longevity and rejuvenation in Japan. First introduced to Japan during the Nara period (710 – 793 AC), the chrysanthemum was later adopted as the emblem of the Japanese Imperial Family. Kiku is a perfect symbolic motif for a tea bowl – a vessel that celebrates a tea drinking style with a long history of relevancy – and the powdered tea that is drunk from the bowl which provides refreshment and restful reflection in a busy world. This bowl has a very graceful shape. Contributing to this is a gentle pinch in the middle of the bowl that flares the top section just a little. 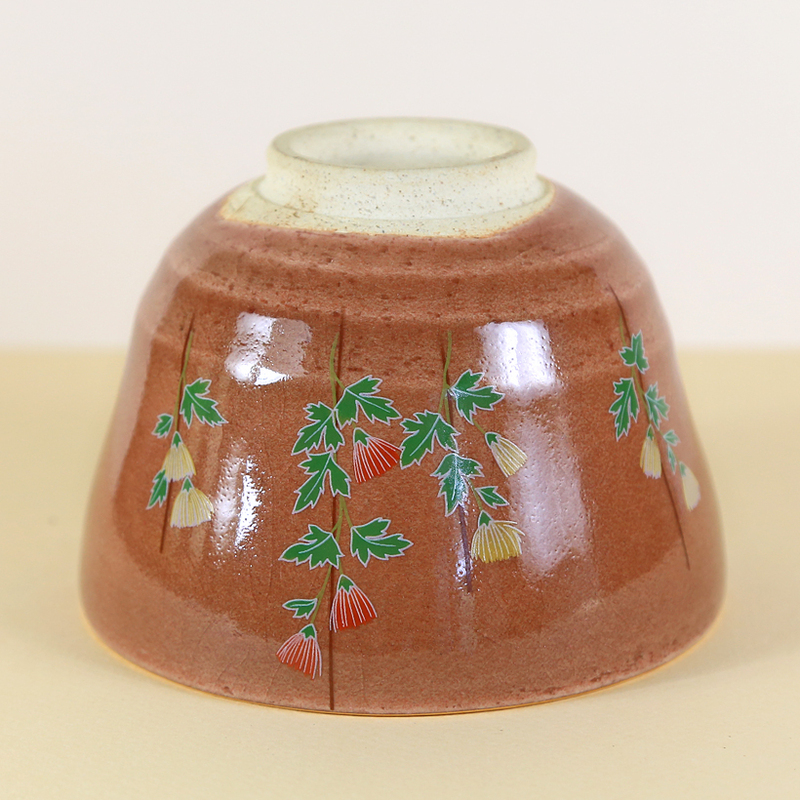 Overall, the tea bowl is fairly large in size and taller than it is wide. 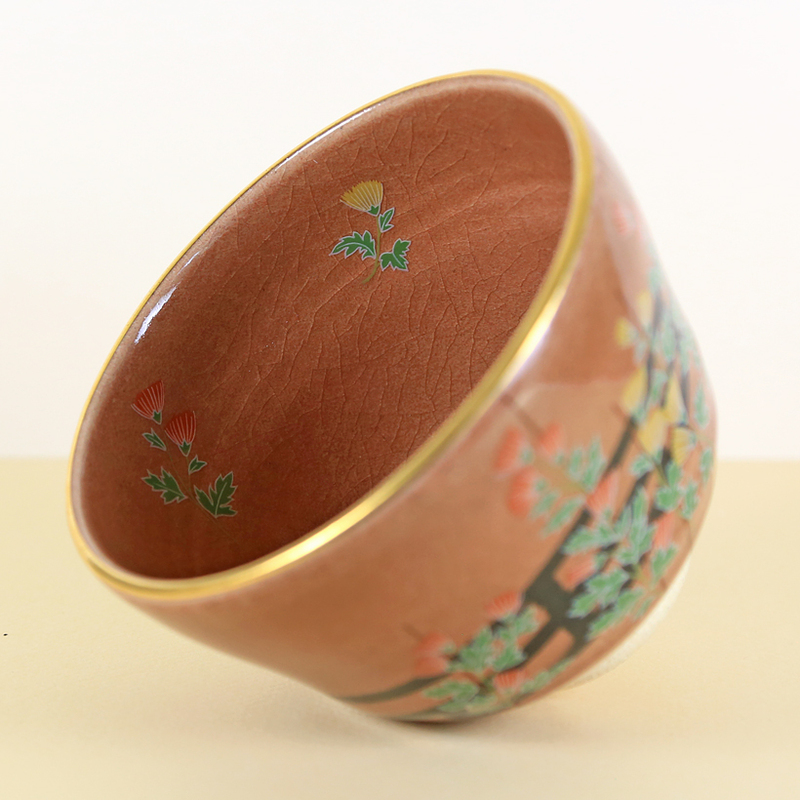 A small portion of kiku are repeated along the inside rim of the tea bowl and the backside of the bowl. 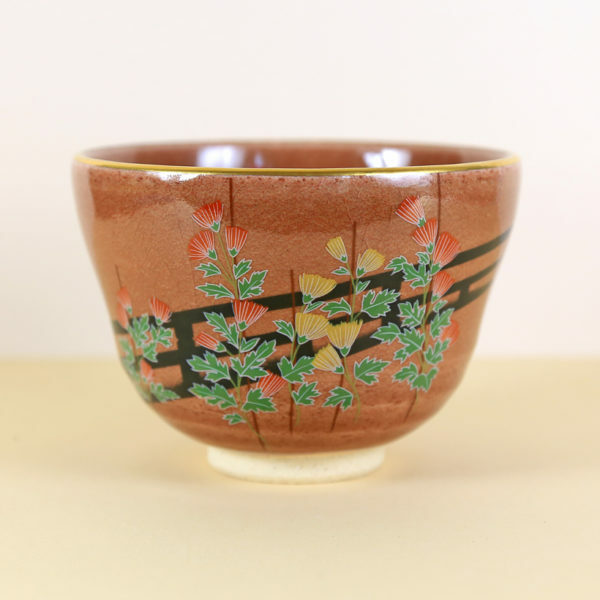 For collectors looking for an autumn motif-inspired tea bowl this one fits the bill nicely.